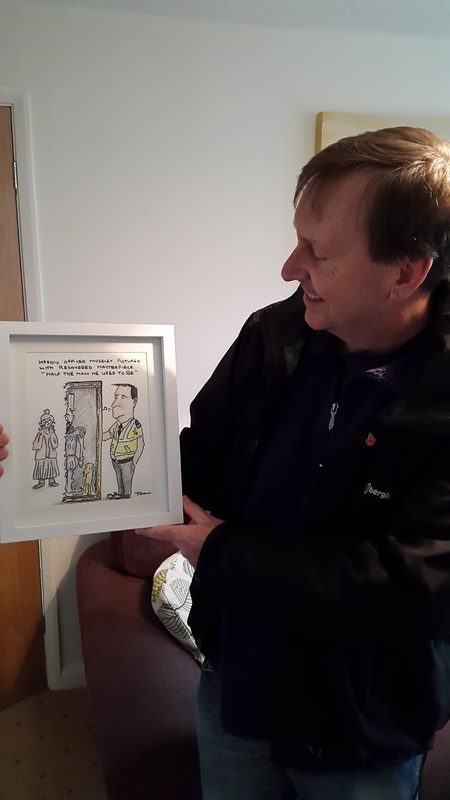 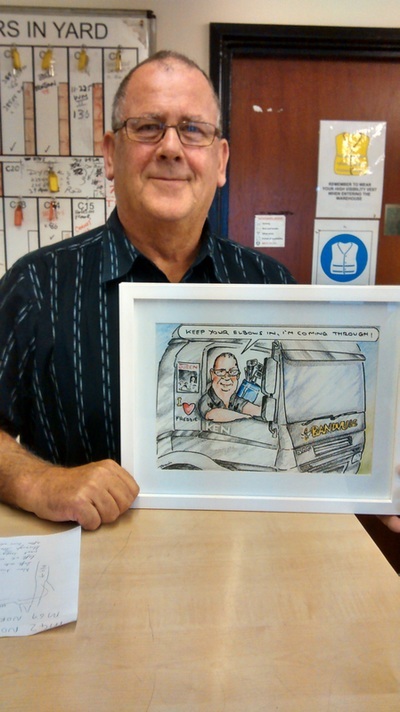 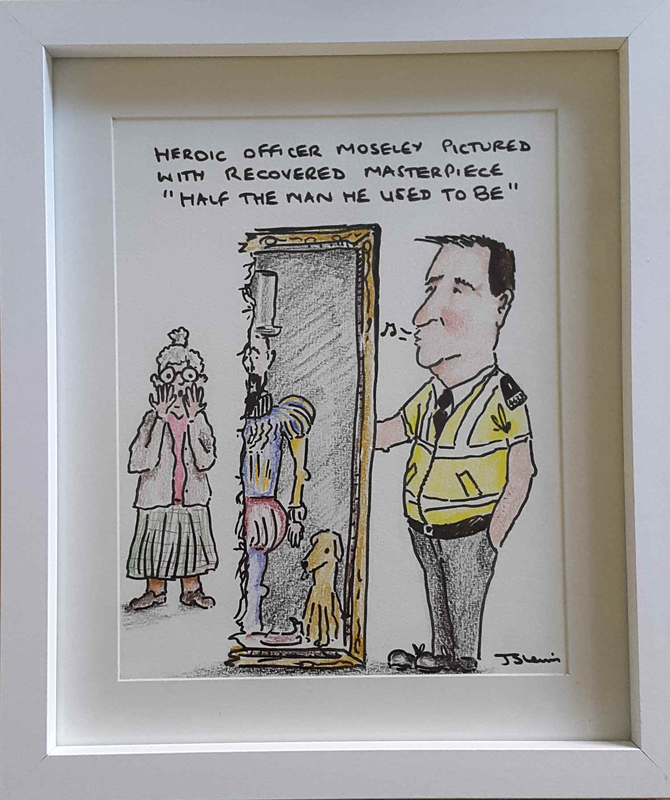 As well as being a painter, James is a talented cartoonist. His particular skill is in capturing people in their environment and drawing out the things that make them unique, in a humorous and often satirical style. 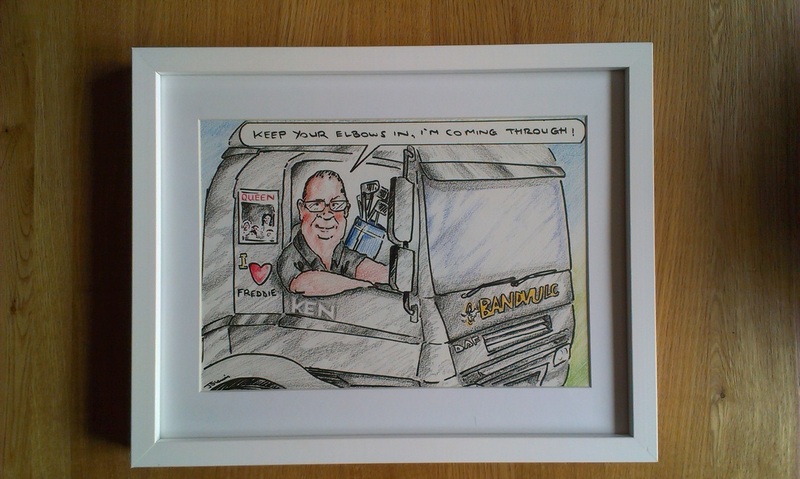 Ideal for retirement and leaving gifts, with prices starting at £85 for a standard white-framed A4 colour drawing. 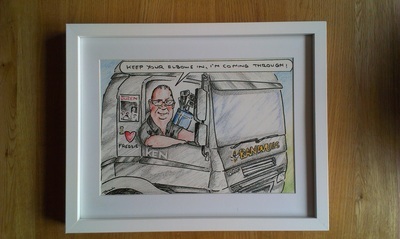 All you need to do is contact James and provide photographs of the subject with details of their interests, favourite catchphrases or an embarrassing occurrence etc and he will do the rest. Below are some examples of recent work and some of the happy recipients.